There will be times they will feel like they are foreigners, even though they know no other homeland. And at some point they may hit the glass-ceiling and start looking for a place where they can truly belong. And in the process they’ll need to find music they can relate to and somehow connects with their cultural and ethnic identity. As a multicultural worship leader, this is my perspective when I see the rise of K-pop among Korean-Americans who are born in the U.S. What Korean-Americans and some of the marginalized Asian-American youth in the U.S. are getting from K-pop is likely their own image and narrative reflected in and shared by those artists. Korean-American Christians grew up seeing a White Jesus on the wall of their church. They grew up singing VBS songs from mainline denominations and western hymns and Hillsong. In other words, Korean-Americans still haven’t found our own narrative in worship. Outside of the church, the mainstream image of Asian males was either Kung-fu guy (Jackie Chan) or funny guy (PSY). Maybe from a Korean-American youth perspective, BTS is an image of Asian youth that is not degraded but dignified. 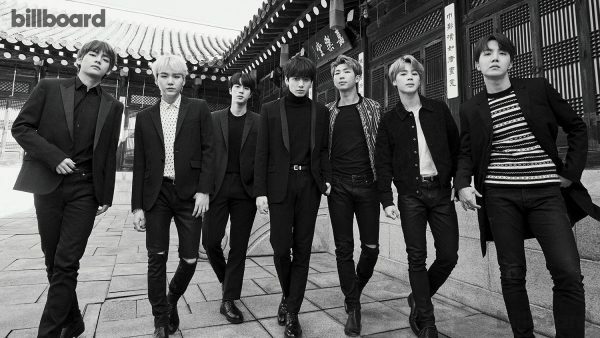 Maybe BTS members reflect an image of Asian males apart from the model-minority stereotype. Maybe in BTS, Korean-American youth see themselves breaking the glass-ceiling without being assimilated into mainstream culture. (The group sings and raps in Korean even at events like the American Music Awards.) And Korean-American youth may even feel empowered because, through their use of social media platforms, they helped BTS achieve mainstream status in the U.S. market. K-pop is not technically a Korean-American narrative, but it may be the closest thing Korean-American youth can identify with outside of the church at this point. I hope Korean-American churches become more aware of the growing need for the next generation to find their own narrative and voice in worship. I think our imagination in worship is still very limited. What if our worship were to be shaped by our narratives rather than by YouTube? How can we help create safe spaces for Korean-American youth to experiment and design worship based on a narrative they believe is their own? Are American churches aware of diverse global youth culture in the U.S. and ready to work with them to create worship that’s currently unheard of, or even non-existent? Can we create new worship spaces where the ethnicity and diverse narratives of bicultural youth are embraced and not erased? A globally-connected, diverse generation is already searching for their story and sound… at least outside of the walls of their churches. Excellent perspective Jaewoo! I wonder how we could help them find their voice?